The Locus Leaning Seat from Focal Upright was designed to encourage an active position halfway between sitting and standing. 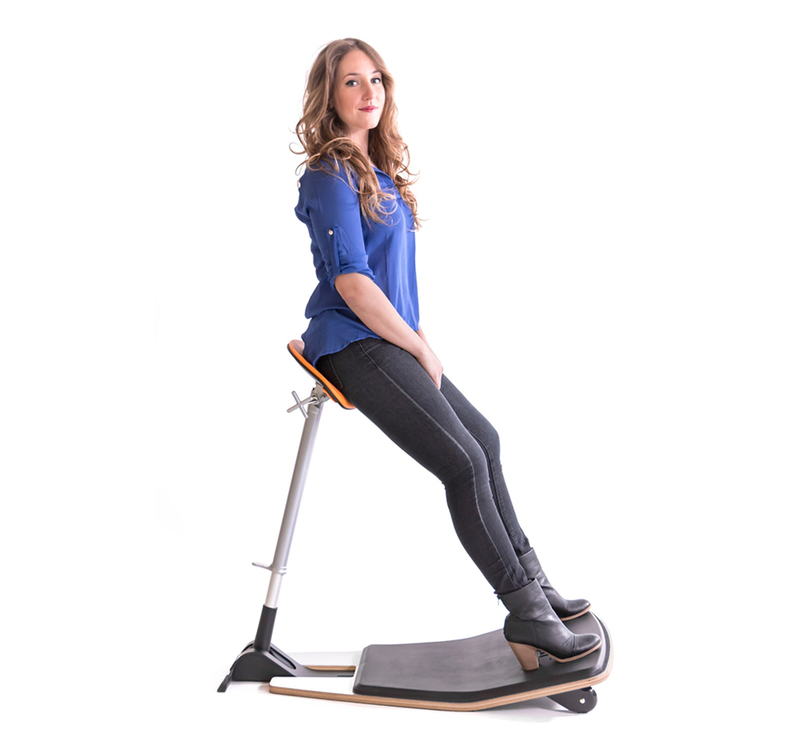 The product rocks one’s pelvis forward at a 135-degree angle, neutrally stacking one’s spinal column and engaging core muscles. MRI studies have found that a 135-degree hip angle puts significantly less strain on the spinal disks, muscles, and tendons than the 90-degree angle of traditional seats. 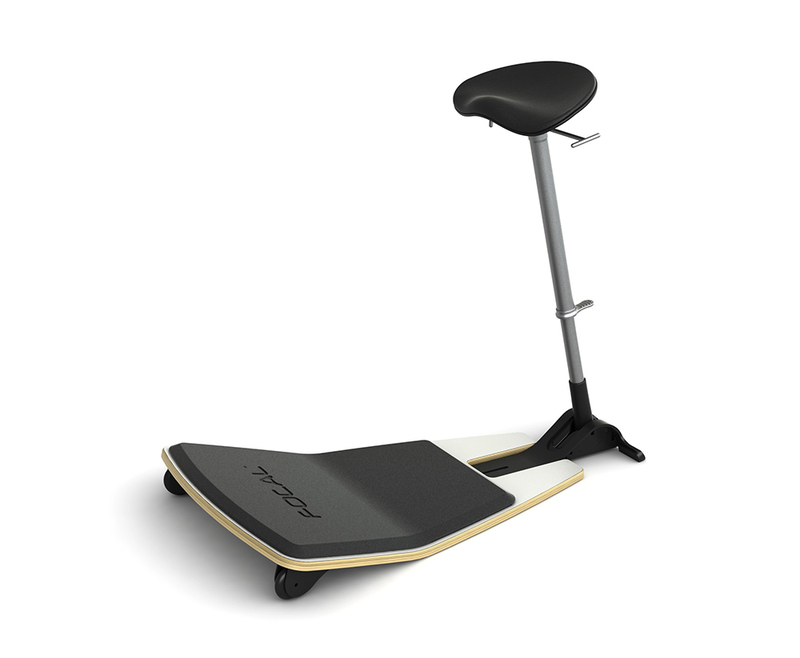 The half-standing perching position of the Locus Seat was designed to take pressure off of the lower back and shift some weight towards the the feet and legs, avoiding a sedentary position. The pivoting pneumatic lift and seat move with the user, supporting small movement throughout the day. 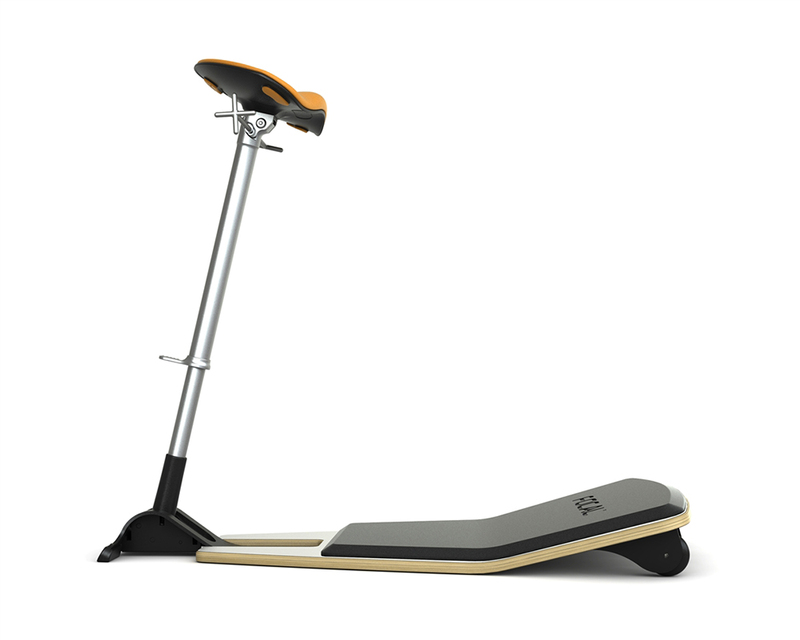 Founded in 2012 by Martin Keen, founder of Keen Footwear, Focal Upright provides ergonomic product solutions that work within both private and collaborative workspaces. For more information about Focal Upright’s ergonomic philosophy, please click here to view their white paper.